Originally part of the R. J. Reynolds Tobacco Company campus in downtown Winston-Salem, this historic 1927 building is now one of the anchors of the Wake Forest Innovation Quarter’s north campus. 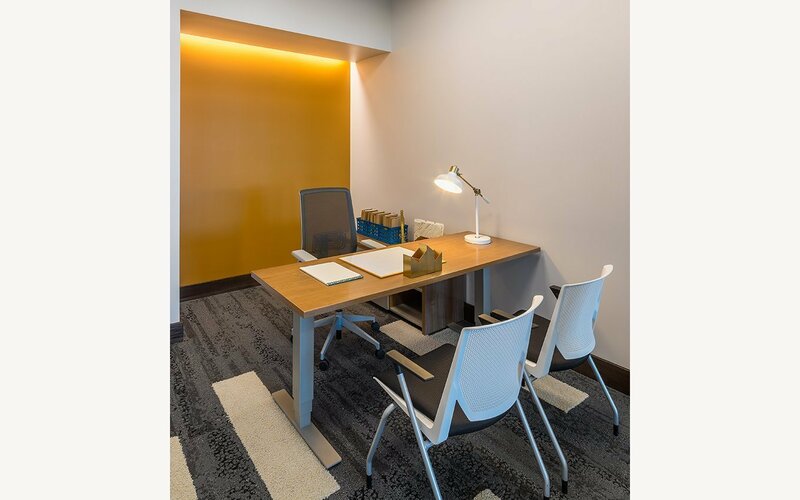 Owner and developer Wexford Science + Technology asked CJMW’s Interior Design Studio to design a super-flexible office suite that included private office, conference, waiting area and a break room/kitchen area – all within less than 1000 square feet. 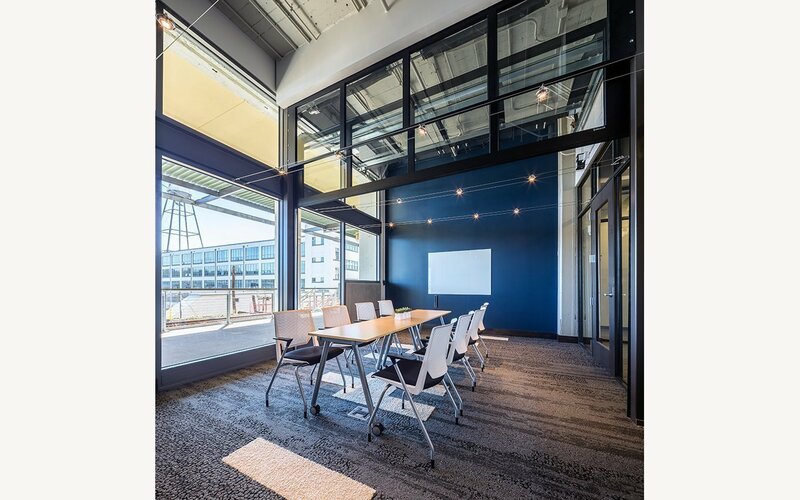 The solution takes advantage of the building’s exceptional window walls overlooking the city’s rails-to-trails pathway and demountable glass walls to bring light deep into the space. 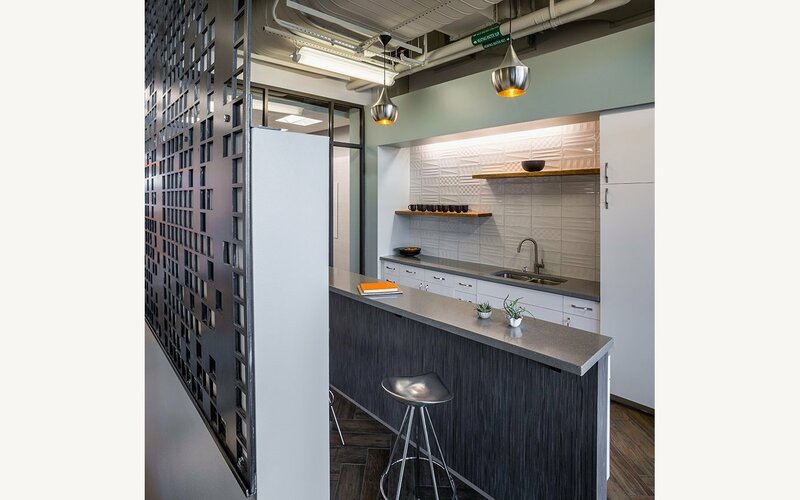 Materials, such as the punched metal screen that provides visual separation between the waiting and break areas, are sleek but at home in their industrial surroundings. 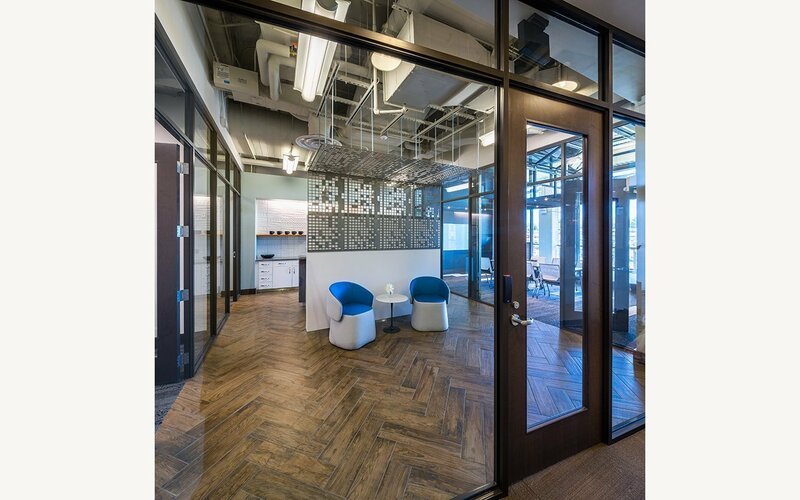 The herringbone-patterned wood floor adds warmth and richness; its wide planks link the new design to the old wood floors of similar buildings. 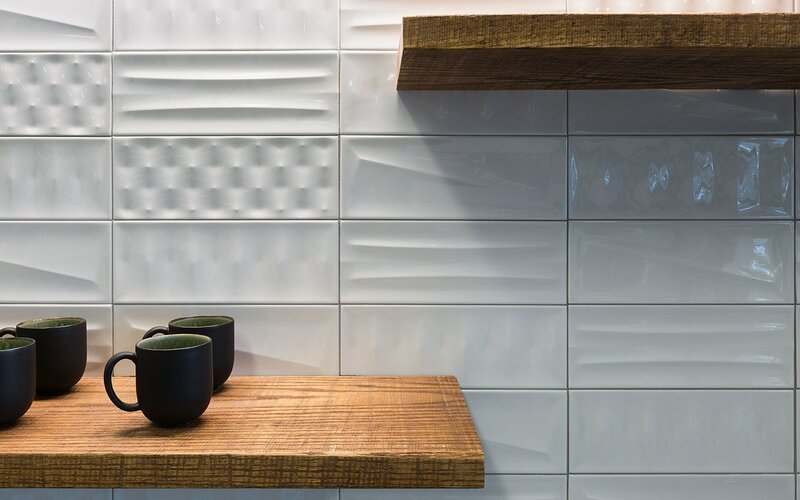 Spaces are designed to be multi-functional. 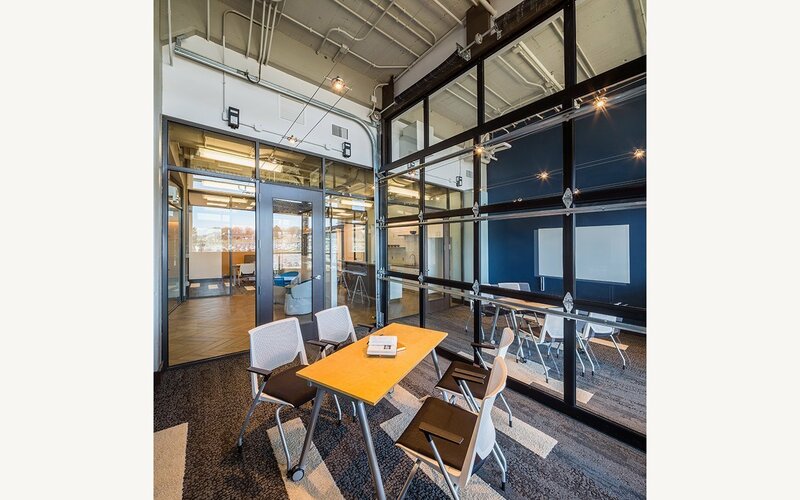 A glass-paneled garage door transforms two offices/ meeting rooms into one large conference room and back again. Writable boards in the breakroom encourage impromptu collaboration and informal brainstorming sessions over coffee. Working to an accelerated schedule, the team used 3-dimensional models and animated walk-throughs to communicate the design quickly right from the early concept phases.